Social media is an essential tool for musicians. While it shouldn't replace your website, and you shouldn't neglect your email list, knowing the right way to promote your music on social media is an important part of becoming a business savvy musician. In fact, after analyzing 200,000 websites, Shareaholic found that Facebook accounts for 10-15% of overall traffic to many websites. 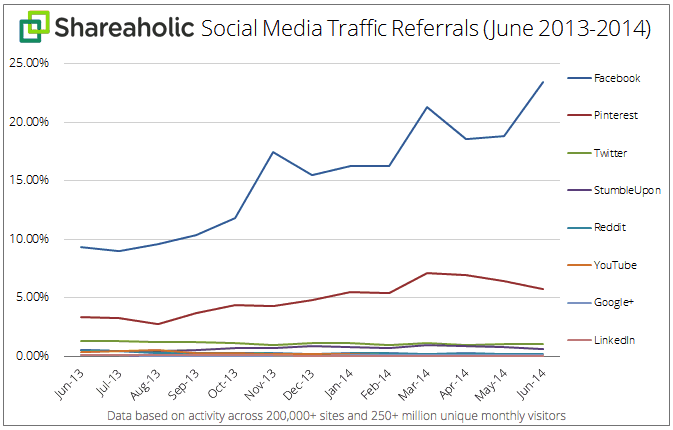 Additionally, social media referrals can continue to grow over time. For you, the musician, this means that social media can be effective in driving traffic to your website, a new music video, or a new album. Unfortunately, many artists promote their music on social media the wrong way - spamming Facebook groups or mass messaging people a link to their new music video. These strategies annoy others, only result small amounts of growth, and can damage your online reputation. To stand out from the crowd, it's important to use social media properly by putting together a strategy that grows your following, engages them effectively, and produces the desired results. whether you're trying to get a record deal, generate sales of music or merchandise, or grow your following for effective tour promotion, here's how to put together an effective social media strategy. Note: This article includes affiliate links where the author may receive a commission. In order to build an effective social media strategy for your music, you need to know who your listeners are by looking at their demographics and psychological characteristics. Demographics - who are your listeners? 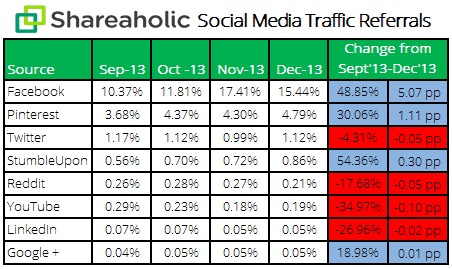 These stats are easy to measure, and are usually readily available on most social networks. For most musicians, not all of these will be relevant. For example, marital status and number of children doesn't usually make a difference in the type of music people listen to. To see who listens to a particular music genre, we can take a look at the information provided by Alexa for niche specific music blogs. First, choose a well known artist within your niche, and plug their URL into Alexa's website statistics tool, then click "Find." Next, scroll down to view the gender, education, and browsing location information. Do this with a few artists in your niche to get an idea of who your most valuable audience will be. Another way to get age and gender demographics for artists in your niche is to use the Google Adwords Display Planner. First, you need to create an adwords account. Once you're set up and logged in, click Tools, then click Display Planner. Under "Find New Targeting Ideas," click "Search for new targeting ideas using a phrase, website or category," then enter a well-known artist within your niche. I entered "A day to remember." While much of the data will be labeled "Unknown" due to private search functionality, the available data can still be useful to you in identifying audience demographics. Try several different artists in your niche so that you have a nice sample size. As you progress, you'll gain more information through the analytics tools on the social media sites you use, but this is a good starting point. Psychology - why would people follow you? Now that you have demographic information, it's time to look into your potential fans' psychological behaviors to understand why they might want to follow you on social media. Psychological data isn't as readily available as demographic information, so I'd recommend learning about the roots of your genre by reading its Wikipedia page. To get started, here's a list of music genres on Wikipedia. Pay attention to how the genre started to develop an understanding of its psychological roots. For example, the punk rock scene typically rejects authority and maintains a fast-paced lifestyle. Another way to analyze the psychology of those in your music scene is to follow other artists on Facebook and Twitter, and read the comments. How people write can identify a lot about their individual personalities. Understanding the culture of a music genre can help you determine what type of images and videos you should share (other than your music) to stimulate passion. Social media takes time to manage, so until you have a full marketing team behind you, I'd try to focus on 2-3 social networks at a time. Once you master them, move on to the next. When it comes to social media, it's about quality over quantity. Choosing the wrong social networks can use up valuable resources, so before you choose which social media sites to promote your music on, you need to figure out which ones will provide you with the most value. This is where the demographic information comes in handy. First, you'll want to narrow down the social networks by their age. Snapchat, Vine, and Tumblr are frequently used by a younger demographic, while Facebook and Twitter seem to have an even split. While Facebook is losing popularity with younger demographics, keep in mind that they're still the biggest social network, with over 1.5 billion users. 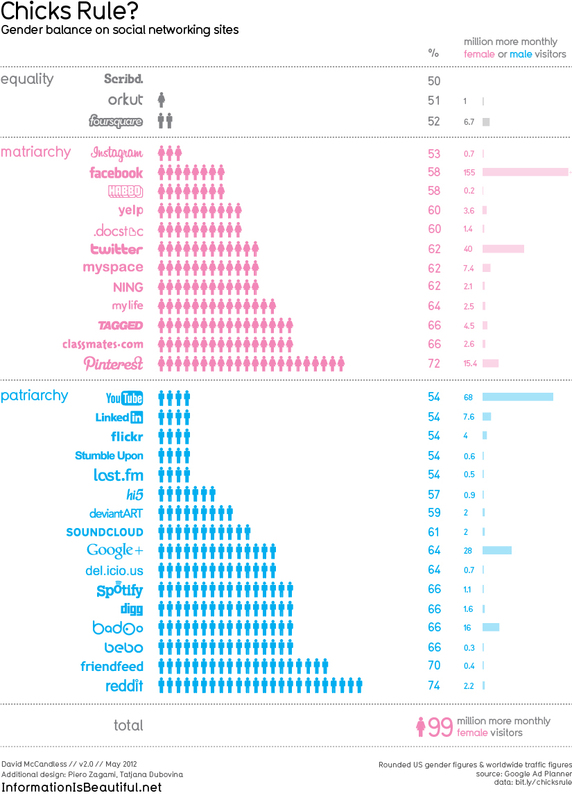 Next, you want to narrow down the social networks even further to their gender. This information is important in helping you chose social networks that reflect the fan base distribution of your niche. When choosing social networks, also keep in mind the user behaviors. For example, Instagram hipsters might be most interested in Indie Rock music, while Snapchat users may enjoy pop or EDM. Also keep in mind that, as a musician, you should definitely be on sites like YouTube, SoundCloud, or Dozmia that enable effective music distribution and hosting. Building a following on your chosen social media sites can help boost your plays and engagement on these sources. At the heart of every social media strategy is an awesome, well branded profile. Many musicians make simple mistakes that result in an inability to gain a following, such as having profile and banner images that don't meet the right specs, or a poorly written bio. Here's a list of things to keep in mind when creating your social media profile. Low resolution is incorrectly sized images make a profile look unprofessional, so it's important to make sure that you size images in the native resolution according to each social network. Here are some specs from Raidious to get you started. If you don't know the resolution requirements for the social network, make the image as high quality as possible. High quality images get more clicks and followers. Resolution isn't the only thing to keep in mind - also make sure your image reflects your brand and musical style. Some social networks (like Twitter) limit the number of characters, while others (like Facebook) allow room for full fledged bios. It's important to make your bio interesting enough to encourage people to follow you and check out your music. Check out our artist bio writing guide for some tips on this. Some social networks allow for one link, some allow for multiple. In any case, interlink your social networks where you're able, but if you can only include one link, make it to your website. If you don't have any followers on social media, sharing anything is useless. Without people seeing the images, music, or other content you share, it's pretty hard to build a passionate following of fans. Building a following from scratch with no or little money is very hard, but it is possible. It may be tempting to buy fake likes, but don't do this. Not only does this make it impossible to track results, the fake followers will end up showing a lack of engagement, which will cause the social networks algorithms to identify you as a low quality profile. When starting out, the best way to get followers is to identify and follow users who are likely to follow you back. Once you reach a certain level of followers, the content you share will begin to generate follower growth on its own, assuming you're successful in engaging your followers. To help you get started, here are some resources about growing your audience on many of the popular social networks. Musicians: Do you NEED to be on Snapchat? If you only post self-serving content like your own music videos, links to your Soundcloud profile or merchandise, and new album updates, you're going to lose followers and engagement quickly. Instead, switch between promotional and engaging posts by following the rule of thirds. One third of your tweets should be promotional, such as sharing links to your merchandise or a new music video. One third should provide value to your fans. One third of your posts should engage fans in a way that builds a relationship. Twitter and Instagram are great places to use hashtags, but these don't really fit in with the culture of Facebook, and may stand out as promotional. When you do use hashtags, don't use trending ones just to get your Tweets or Instagram pictures in front of more people. Remember - quality over quantity. Use hashtags that will get your posts in front of users who may actually be interested in them. 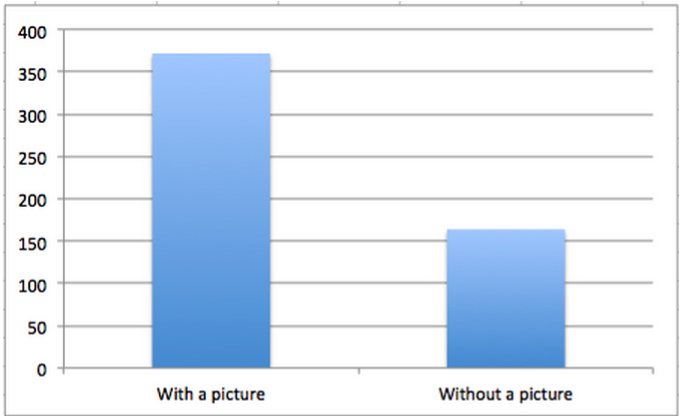 Facebook posts with a picture get 2.3x more engagement than those without. While it's a close call, video often gets more engagement than images do. While this data is helpful in getting started, experiment with different types of posts to see which get the most engagement with your followers on different platforms, and double down on this type of content. Timing is everything in social media. Different social networks have different engagement times among their users, so it's important to posts when most of your followers are on. Here's a cheat sheet to help you schedule your posts on different social networks. The Best Times to Post to Social Networks – Cheat Sheet was created by the First Site Guide Team. These stats are great, but again, figure out what works best for your audience. You might have a fan base that's on Facebook mostly on weekends, for example. Test different times using the above cheat sheet as a guide, but trust the data derived directly from your fans when figuring out your posting schedule. As you start to grow your following, you'll begin to think to yourself "wow, if I just post more often, I'll get more results!" While you're correct to a point, don't get too carried away. If you share too often, you'll take up too much of your followers' feed, and they'll unfollow you or stop engaging with your posts, which will shrink your organic reach. For now, here are some sharing frequency best practices. Your experience will differ depending on what social network you're using, and how big your following is. For example, HubSpot analyzed sharing data from their customers pages and found that the ideal sharing frequency can depend on the size of your following. However with Twitter, it seems that after about 18 minutes, a Tweet has passed its peak engagement. So for Facebook, posting too often can hurt, but on Twitter, you're better off posting between 5 and 20 times per day, even if it's the same content. If you tweet the same image, video, or link, use a different message with the tweet so that those who have seen one of your previous tweets won't think you're spamming. Keep the concept of diminishing returns in mind for the social networks you choose to promote your music on, and see how posting frequency affects your engagement levels. Your strategy is basically complete, but this is where you bring it all together to make sure it's working. It isn't hard, but this will make or break success. Nobody gets social media right on their first try. You'll need to see which posts are getting the most engagement, and what type of engagement is resulting in the greatest return. While you can use the free analytics tools available from the social networks themselves, tools like Hootsuite or Buffer offer in depth analytics that can help you track follower growth and engagement across multiple platforms with ease. Your goal as a musician is to have the biggest engagement/follower ratio possible, so keep analyzing the results of different combinations of messaging, content, timing, and frequency, and work your strategy to build on this. By now, I hope you understand that you can't just mess around on social media and expect results. You need a solid strategy in place to deliver the desired results - a loyal following that will check out your music, buy your merchandise, and make it to your shows.